We’re glad you stopped in and think you will be as well — especially when you discover the incredibly beautiful and vibrant area that we serve! Our region has well over twenty lakes and ponds offering virtually endless year-round recreational opportunities! Our towns are in close proximity to the state government offices in Augusta, adding a level of energy and excitement not found elsewhere. New shopping malls, new and updated medical facilities, and excellent educational opportunities are all readily available and enhance the quality of life here that we treasure. Just an hour’s ride from Portland’s Jetport, an hour to the mountains for skiing, and an hour to Maine’s breathtaking seacoast, our central region of the state is just an easy place to live and get around! Please feel free to visit our website as often as you’d like. 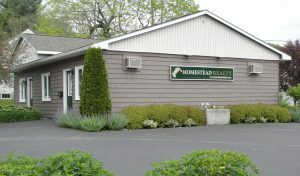 You’ll find a nice selection of links to different resources, information on our listings and agents, and much more! We are so proud to call this area “home” … and we are confident that you will be too!